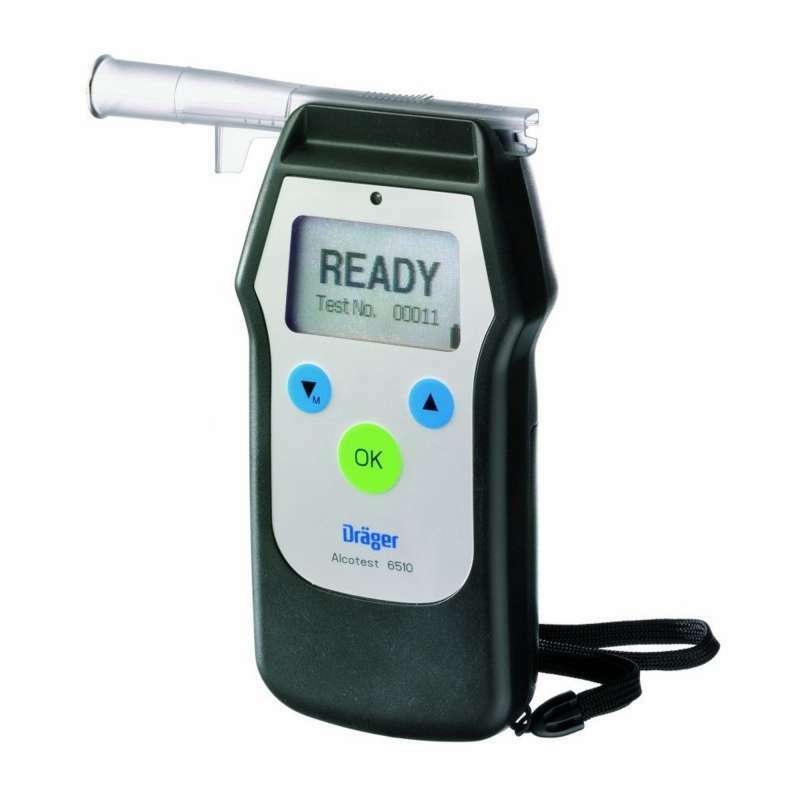 The Drager Alcotest 6510 is an ideal breath alcohol analyser that is handheld and compact and ideally suited to law enforcement professionals. Being extremely easy to use, quite intuitive in operation, it is a popular choice of alcohol Tester in law enforcement departments all over the world. It features a graphic display that is large, backlit and has a very fast Startup time. Being so easy to use, the operator can get accurate alcohol level test results hygienically and safely all from one key control. This unit features Draeger's new quarter-inch Drager sensor technology, which is specifically designed for alcohol measurements. It can handle high concentrations of alcohol and features the shortest reaction times. It can also supply NHTSA compliant evidential breath test measurements. Features a removal mouthpiece that is both convenient and hygienic. You can reasonably expect over 1500 breath Ð alcohol tests from just a pair of AA batteries. It has both audio signals as well as three colour LEDs and the unit weighs just 195 g.
Safe operating temperatures are recommended between -5¡ C to 50¡ C the unit is housed in impact resistant ABS/PC housing and its dimensions are 140mm x 80mm by 35mm. The removable mouthpiece is individually packaged and features tamperproof outlets as well as an integrated mouthpiece ejector tab, allowing hygienic and easy deployment.